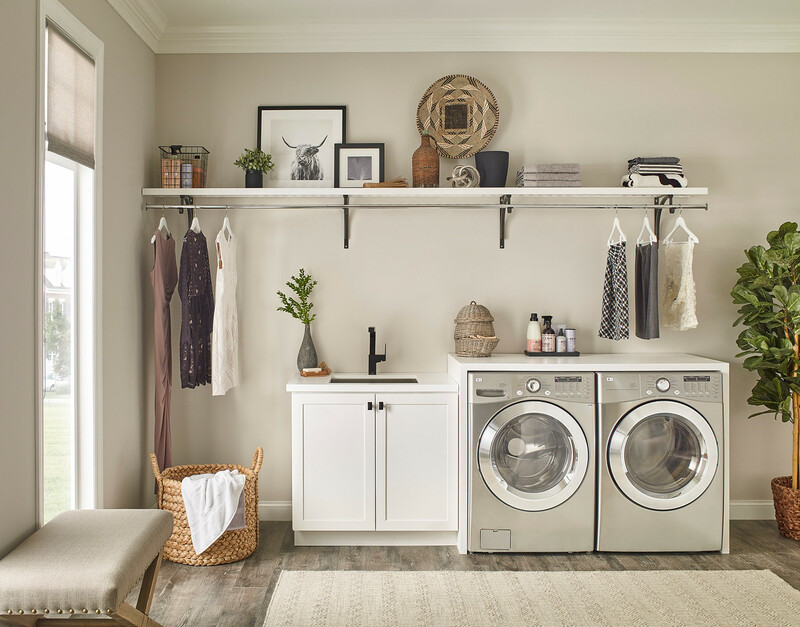 A cluttered home is more than just unsightly. It also causes stress. According to a survey conducted by the National Association of Professional Organizers, 54 percent of Americans are overwhelmed by their clutter and 78 percent find it too complicated to handle. Don’t let these facts give you more anxiety. Decluttering takes some prep work, but the benefits outweigh the effort. It’s much easier to relax in a clean room, for one. Here are a few more reasons. The best way to turn these negative feelings off is to clean up and clear out the rooms where you spend the most time. Start with your living room or your bedroom and then move to the next space. Once you have decided what to donate or toss out, use pretty storage containers to keep your remaining belongings organized and out of sight. 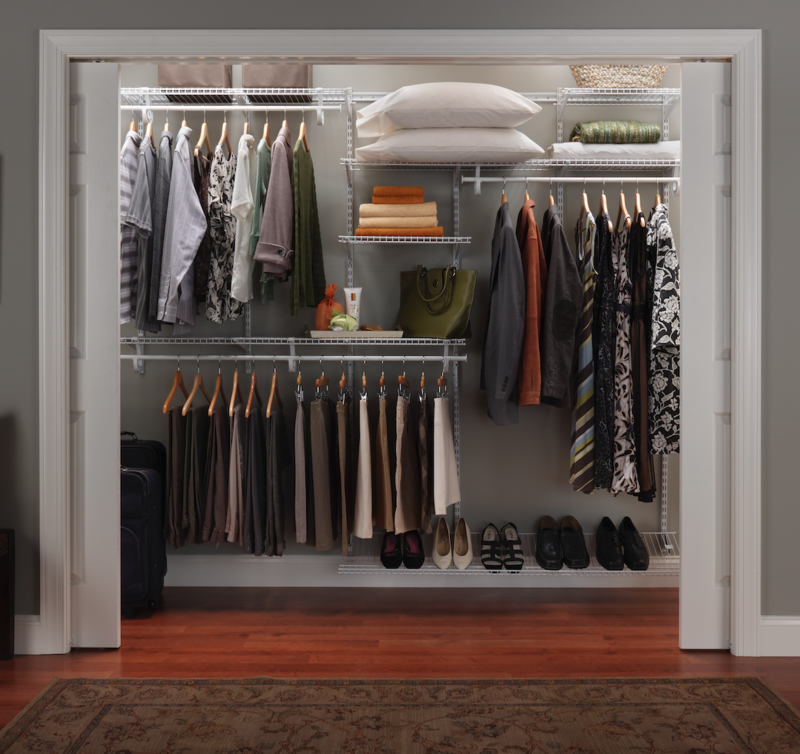 ClosetMaid’s Wire Frame Bins can hold throws, books, clothes or even craft supplies that you want to access easily but keep hidden. Decorate and declutter with Wire Frame and Handle Fabric Bins. Of course, going through your belongings is not only an exercise in self-discipline (do you really need five pairs of black pants? ), but can be a good workout, too. Stretch up to take items off high shelves. Bend your knees and use the power in your legs to lift heavy boxes off the floor. And, if you love music, turn up the tunes and feel free to dance as you’re working through the clutter. You can burn calories, get rid of stress and declutter all at the same time! Clearing out a crowded closet can be great cardio exercise. A bonus of straightening up? Now you’ll have room for stress-relieving activities, such as yoga, journaling, reading or meditation. Carve out space in your bedroom, basement or spare room where you can enjoy your favorite form of relaxation. 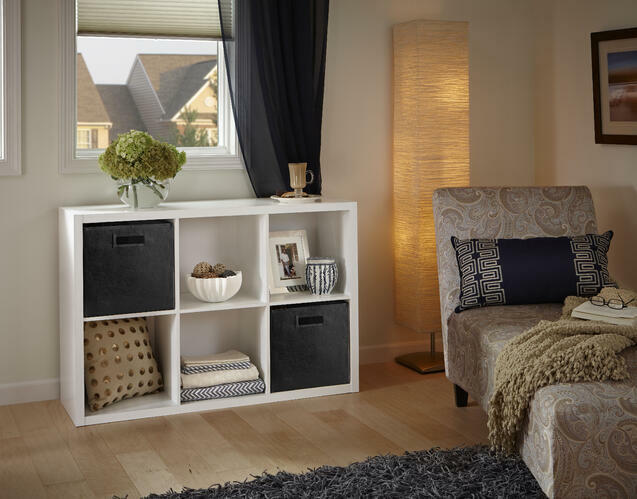 Store extra linens and pillows in a Decorative Storage 6-Cube Organizer to make room for a comfortable reading spot. While having a clean house is great for your mood, it’s important to remember to be realistic about achievable and sustainable tidiness. If you have young kids and pets, maintaining a perfectly put-together house might be impossible. Don’t sweat the small stuff! 0 Comments on "How a Clean Home Reduces Stress"